With the end of the vacation season and the beginning of milder temperatures, fall in Las Vegas is a great time to enjoy the variety of activities both in and outside the city. Here are some of the top ways to make the most of your stay. 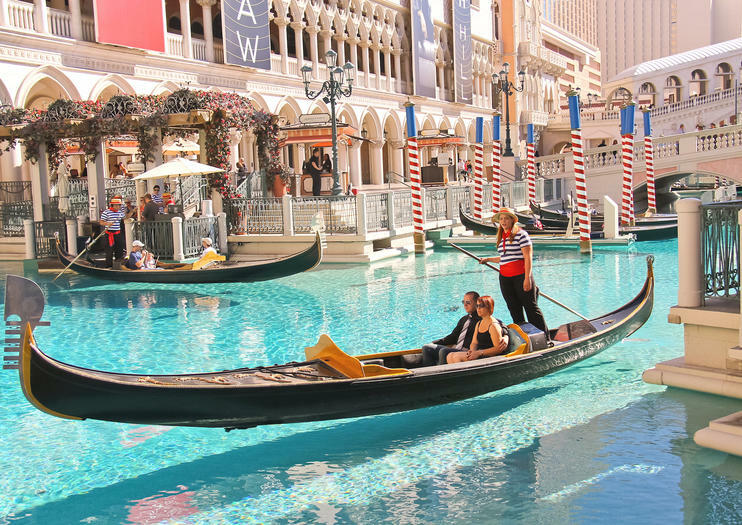 Enjoy the cooler weather with a gondola ride on the Venetian’s Grand Canal. Catch one of the city’s Cirque du Soleil shows such as O or Michael Jackson ONE. Experience the Grand Canyon by helicopter or whitewater raft. Soak in the autumn light—always great for photos—with a sunrise or sunset hot-air balloon ride. Get into the Halloween spirit on a citywide ghost tour or by visiting the abandoned mining town of Goodsprings. Fly above the Strip on a nighttime helicopter tour. Take an in-depth look at the engineering wonders of the Hoover Dam. Celebrate the artistic genius of the ‘King of Pop’ as you watch Michael Jackson ONE by Cirque du Soleil®. This amazing performance at Mandalay Bay Resort and Casino features an electrifying fusion of acrobatics, dance moves and visuals. It’s the perfect way to honor the musical and cultural legacy of this iconic pop star, spreading his universal lessons of peace and unity. Your ticket purchase also includes a choice of show times and seating options. Enjoy a ghostly exploration of Goodsprings, Nevada, an abandoned mining town with a starring role on the Travel Channel program ‘Ghost Adventures,’ during this guided 4-hour trip from Las Vegas. Fuel up with dinner at local saloon before joining your guide on an exploration of the city’s spooky abandoned downtown and a quick stop at the local cemetery, hearing hair-raising stories about sightings about the town's resident ghosts. You’ll also visit Pioneer Saloon and Gallery, which some say is haunted by the spirits of a miner and gun shot victim. This Goodsprings ghost hunt also includes ghost-hunting equipment and transport to the town.